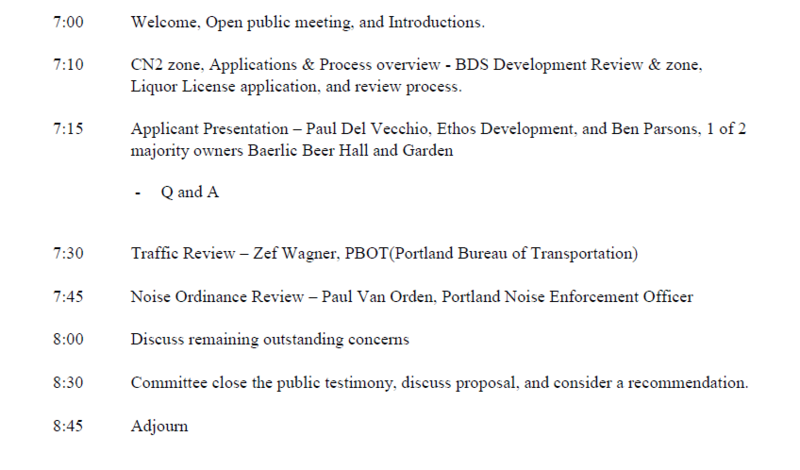 Please join me for a Special Land Use and Transportation Committee meeting of RCPNA on Thurs. 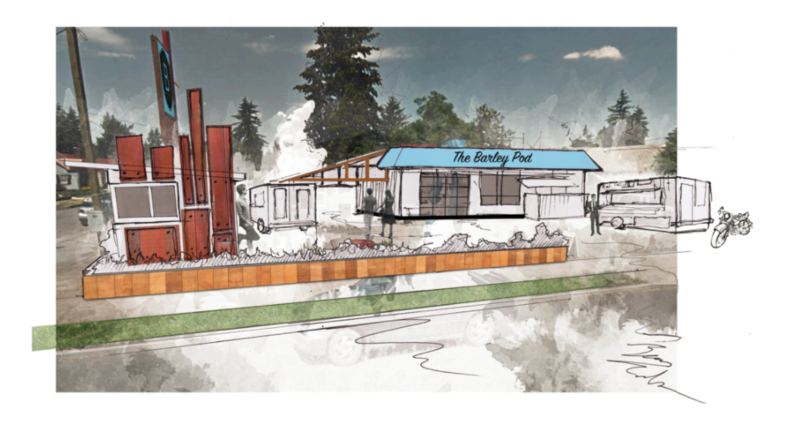 July 13th from 7:00-9:00 pm at the German American Society, 5626 NE Alameda St. As Chair of RCPNA I have requested this Special Meeting to address the liquor license for the Baerlic Beer Hall and Garden that is to include 12 food pods located at 6035 NE Halsey St.
Topic: Baerlic Beer Hall and Garden Liquor license, 6035 NE Halsey St.
Here’s the Liquor Board’s Comment Form, which includes ways to submit your opinions should you be interested in voicing them. I believe you can submit this comment form electronically. Hi – I missed the notice for this meeting and live one block away. Perhaps a left turn signal at 60th and Halsey would help traffic patterns – people cut through 61st and 62nd and turn on Clackamas (my street) as a work-around to avoid the light and your business will attract more ppl doing this – kids play back here. Also – how are you addressing parking? I’d rather not have the few spaces available to my house taken by your patrons. Otherwise – happy to have that space used rather than vacant – just concerned you’re over-reaching with no plans for parking. Thanks.